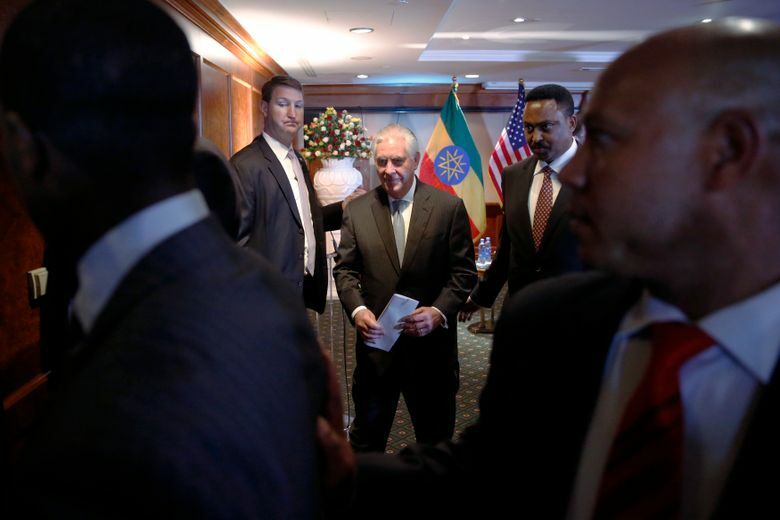 ADDIS ABABA, Ethiopia (AP) — The top U.S. diplomat and a top African official tried Thursday to move past President Donald Trump’s slur about Africa, deeming it a closed matter that need not be revisited. 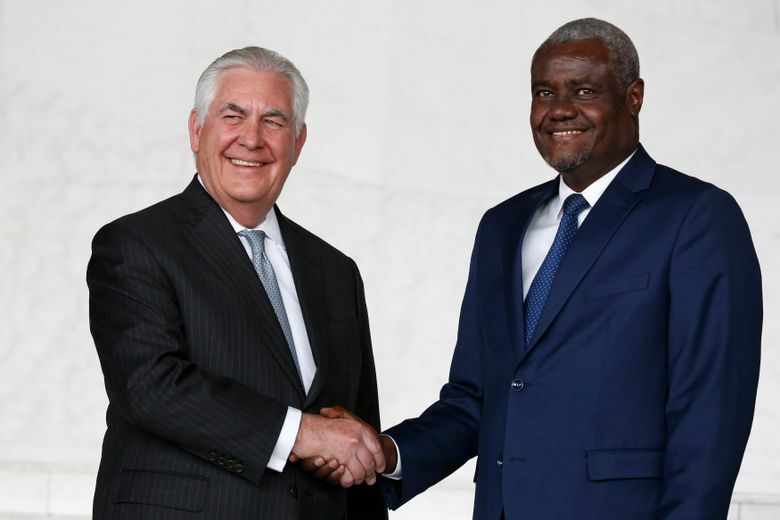 “I believe that this incident is of the past,” African Union Commission Chairman Moussa Faki said at a news conference with visiting U.S. Secretary of State Rex Tillerson. 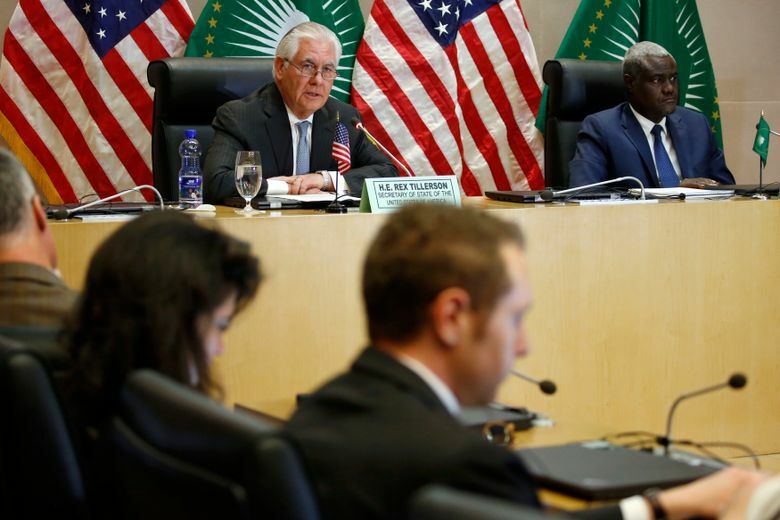 The two were questioned repeatedly by U.S. and international media about the January incident, in which Trump referred in a private meeting to “shithole countries” in Africa, triggering widespread outrage across the continent. 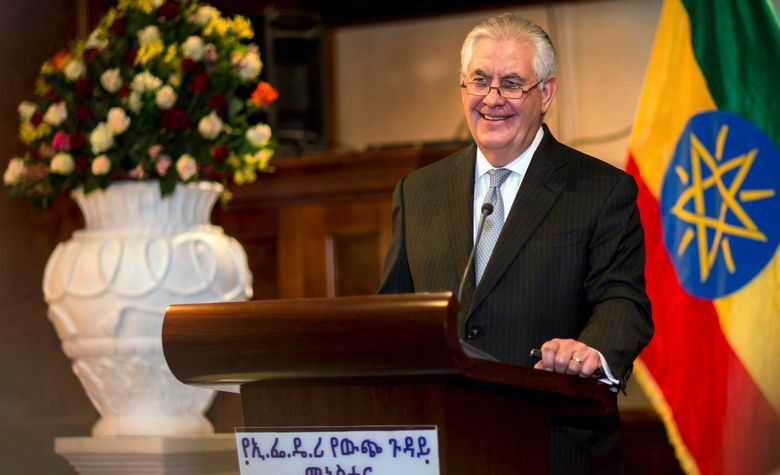 Neither were eager to dwell on the topic. 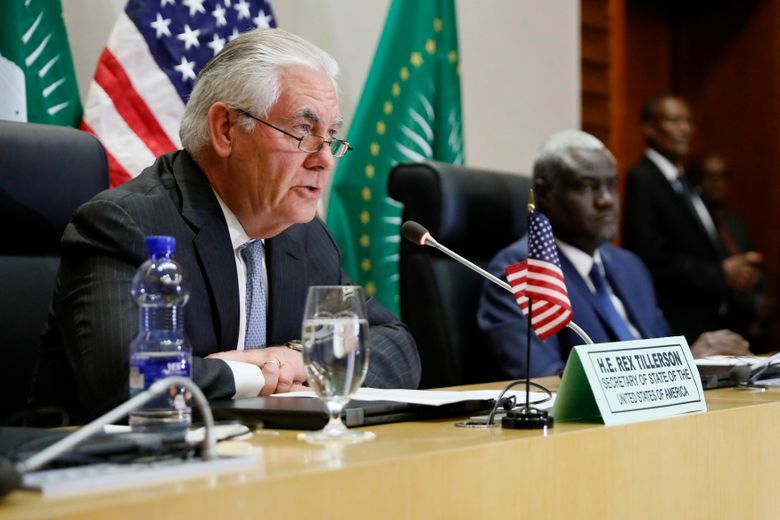 Faki and Tillerson both pointed to a letter Trump sent the AU officer and other African leaders shortly after the incident in which he affirmed his respect for Africa. 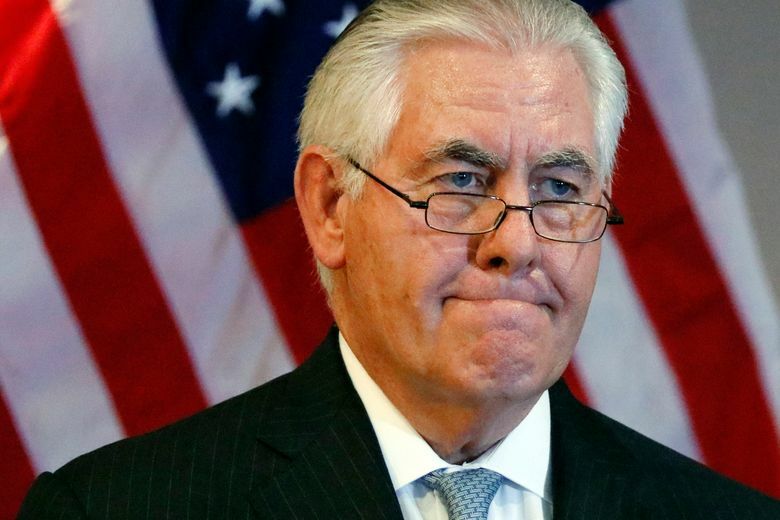 He said Tillerson’s visit was evidence of the close U.S.-Africa relationship. 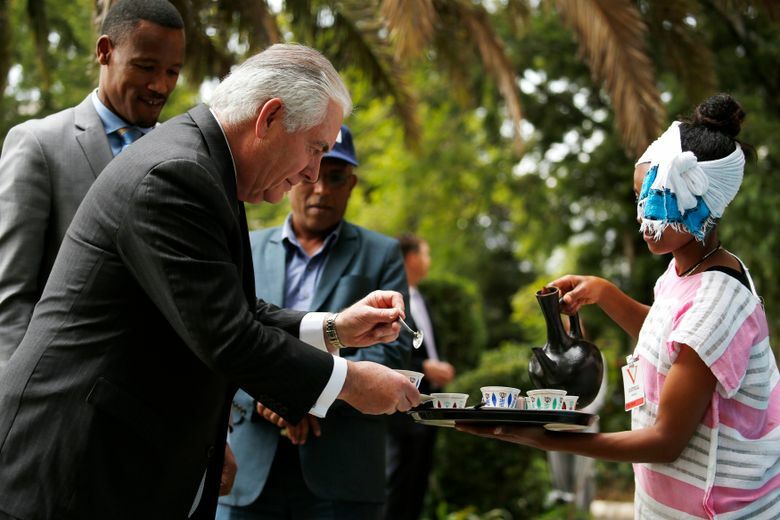 Tillerson, who this week becomes the most senior Trump administration official to set foot in Africa, did not directly respond to several specific questions about Trump’s remark and whether Africa deserves an apology from the United States. 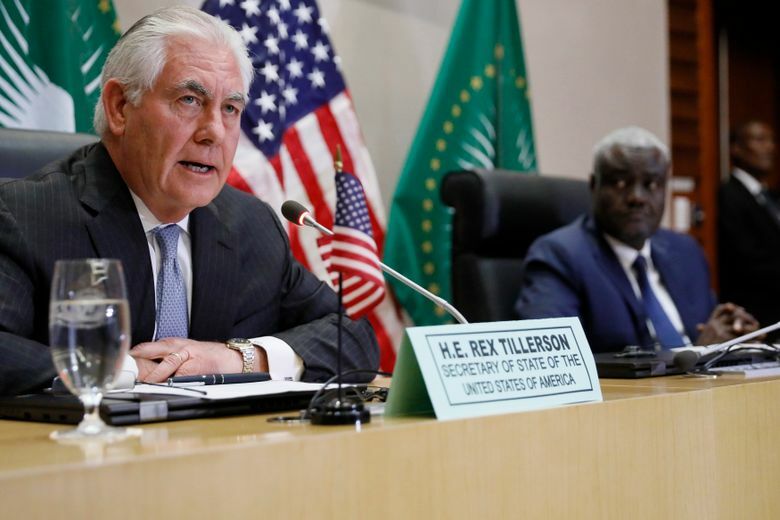 “I think the US commitment to Africa is quite clear in terms of the importance we place on the relationship,” Tillerson said. 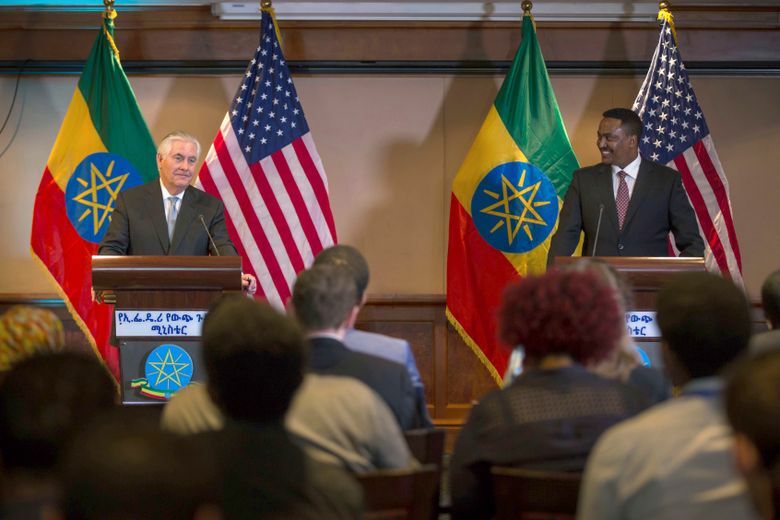 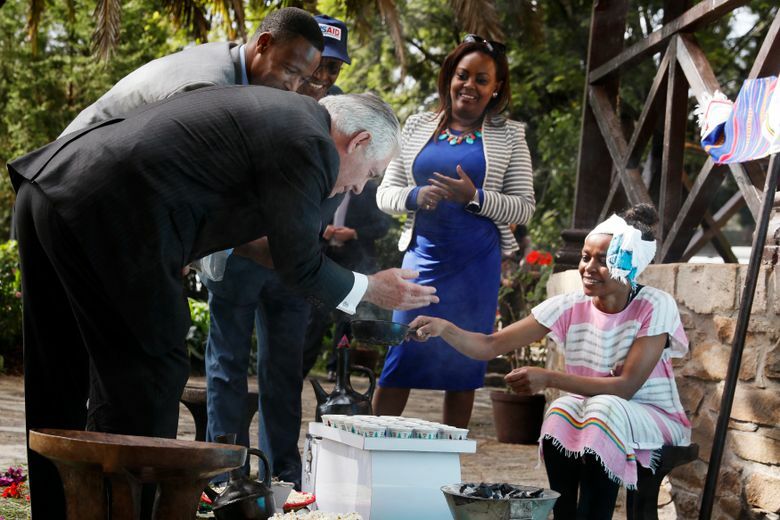 Tillerson later met with his Ethiopian counterpart Workneh Gebeyehu and at a press conference voiced his belief that Ethiopia’s ongoing unrest should be solved with more freedom, not less. 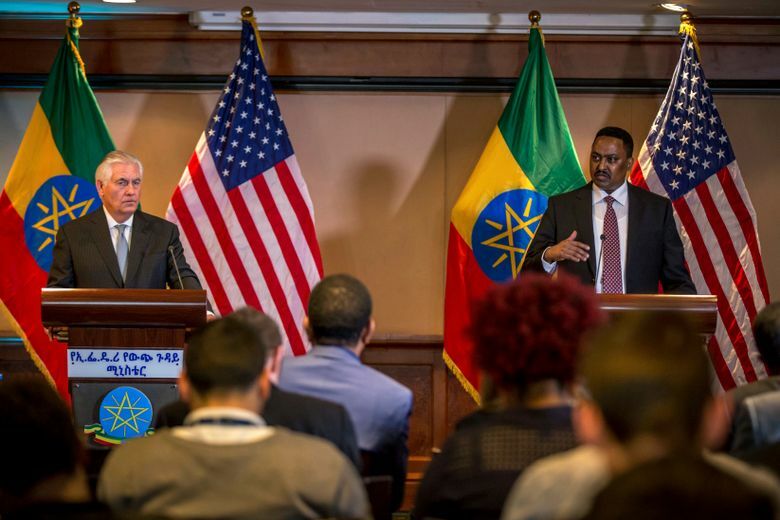 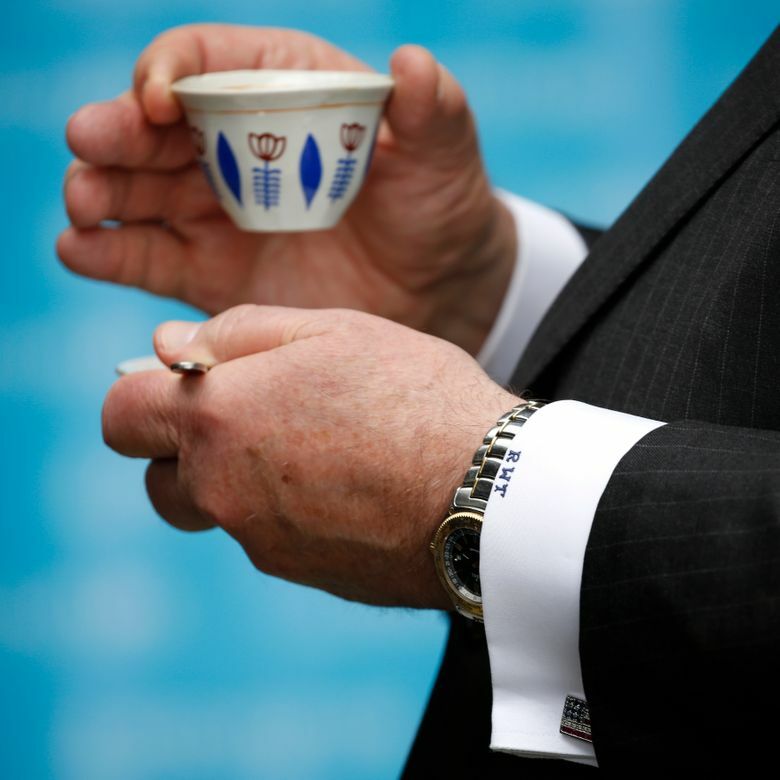 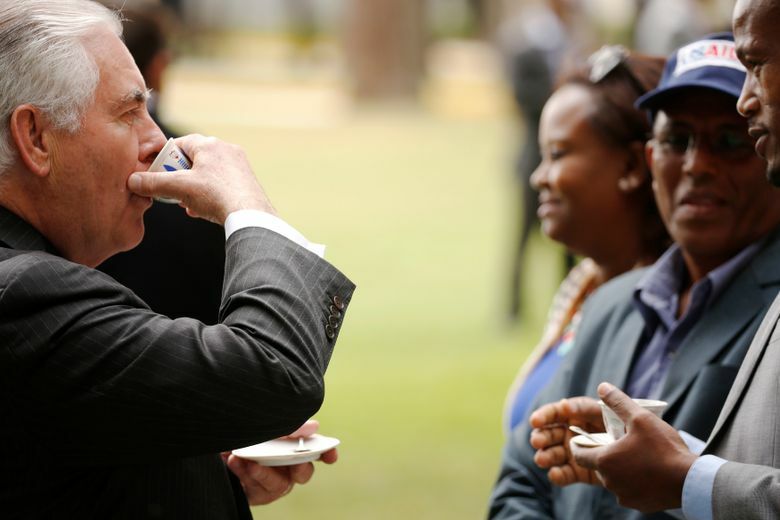 The top U.S. diplomat also raised alarm over a state of emergency Ethiopia has declared to deal with widespread anti- government protests that engulfed much of the restive Oromia region. 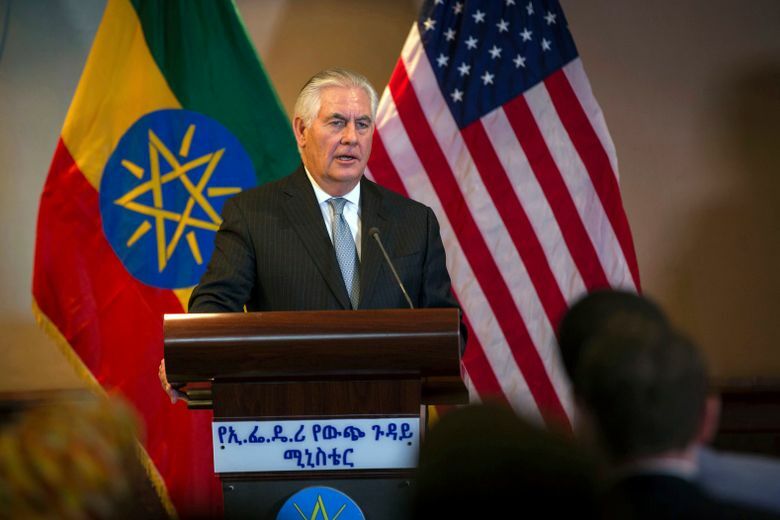 Anti-government protests calling for wider political freedoms have been raging in a number of regions in Ethiopia since November 2015, claiming the lives of several hundred people. 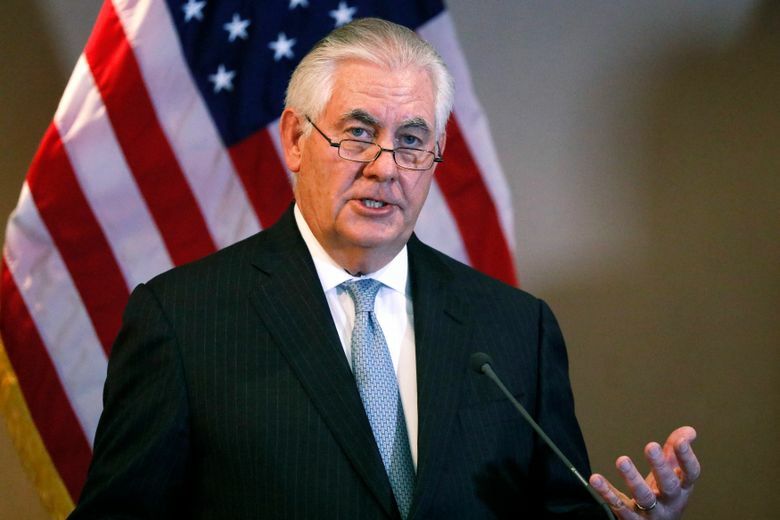 A state of emergency was subsequently declared in October 2016 that led to the arrest of at least 22,000 people, the majority of whom released since. 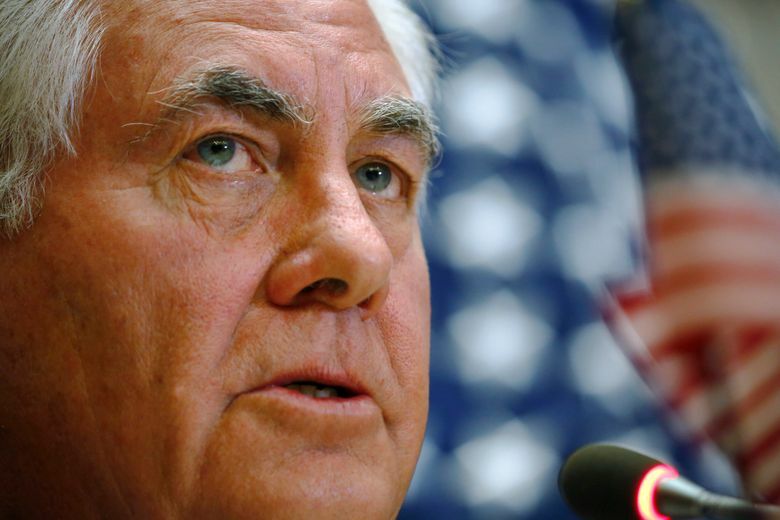 The government declared a second state of emergency in mid- February. 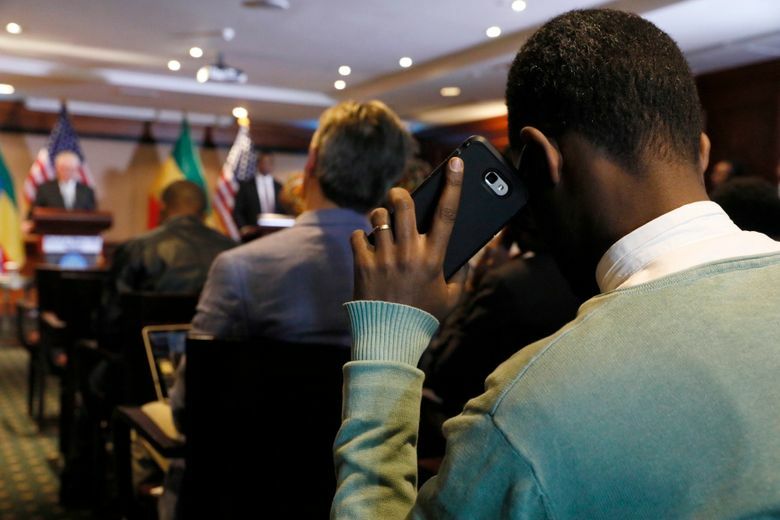 On Thursday, Ethiopia unveiled a special investigative unit to deals with complaints regarding illegal detentions within the latest emergency rule. 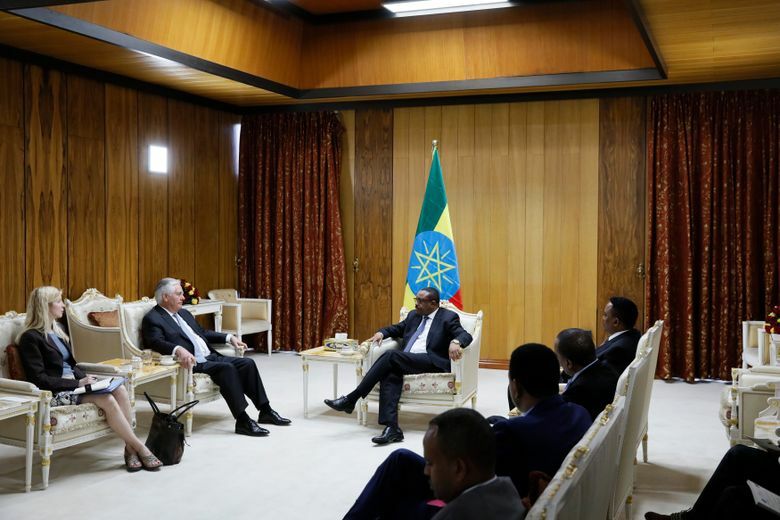 Ethiopia’s prime minister, Hailemariam Desalegn, resigned amid the protests and a new leader is expected to be sworn in the coming few days. 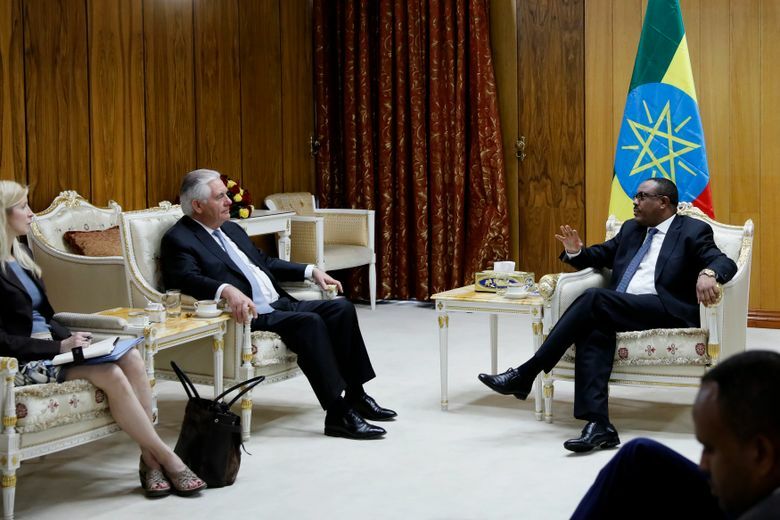 Ethiopia is currently one of Africa’s best performing economies and a strong U.S security ally but the government is often accused of stifling dissent and arresting journalist, activists and opposition figures.